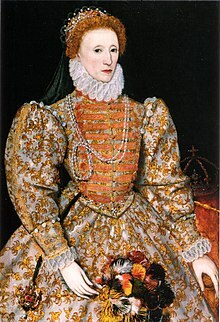 ↑ In 1593 during the crisis of Henry IV's conversion, the French ambassador implored Burghley "Protect me by your wisdom from the ire of this great princess; for by the living God, when I see her enraged against any person whatever I wish myself in Calcutta, fearing her anger like death itself."". John Lothrop Motley; History of the United Netherlands, 1590-99. หน้านี้แก้ไขล่าสุดเมื่อวันที่ 5 มกราคม 2562 เวลา 09:14 น.